On the morning of 30 November 2017, a group of Israeli teens and parents from the settlement of Migdalim entered land belonging to the Palestinian village of Qusrah in Nablus District. Accounts of what happened from that point on diverge. 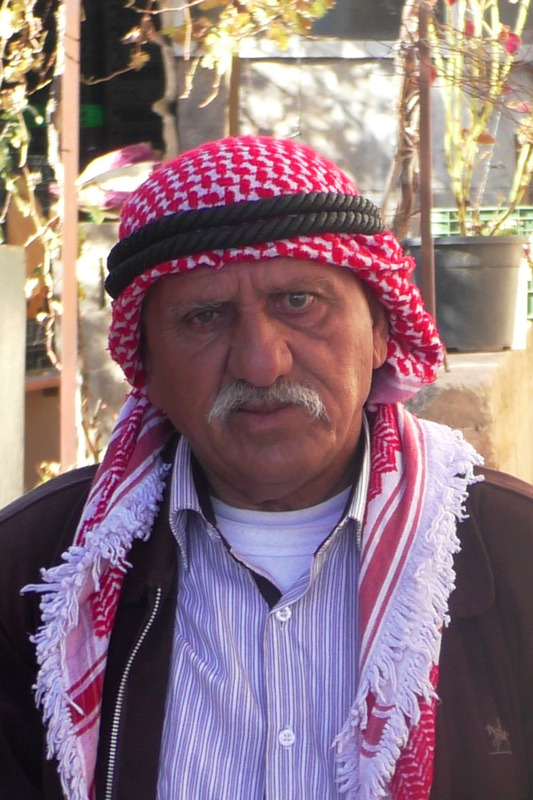 Undisputed is the fact that at around 10:15 A.M., one of the settlers shot Mahmoud ‘Odeh (46), a resident of the village, at short range, killing him. ‘Odeh was on his land with his son at the time. After the shooting, another Palestinian threw stones at the settler, who in turn shot him in the leg. 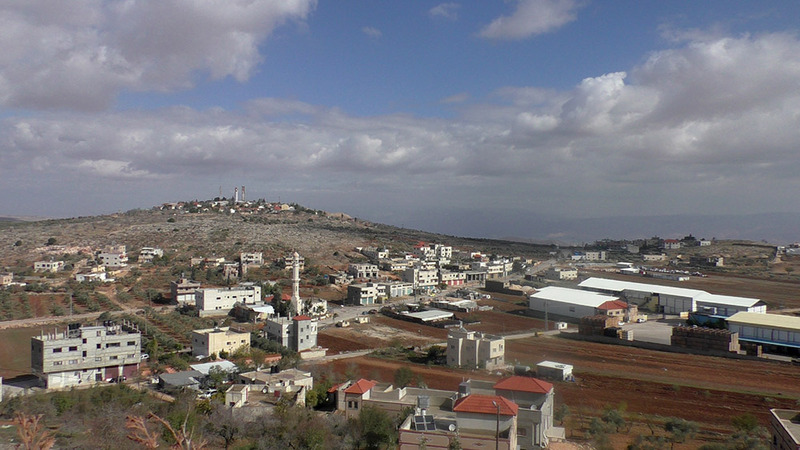 The following days saw clashes between village residents and Israeli security forces. The most serious incident took place on 4 December, at around midday, when troops fired live ammunition and teargas at residents from several hundred meters away, injuring two. One sustained a severe chest injury from live ammunition, was taken to hospital where he underwent surgery and kept there for a week. The other sustained a mild injury to the leg. Two days later, troops raided some 30 homes in the village for two nights in a row – 6 and 7 December – from 10:30 P.M. to dawn. In the raids, 21 residents were arrested, including two teenage boys under the age of 18. The soldiers pounded loudly on front doors, in some cases forcing them open, woke up entire families, assembled all the members in the living room and checked their ID cards. In some cases, the soldiers remained in the house for about two hours without doing anything; in others, they conducted brief searches. As is the case in many other such raids that take place on a nightly basis across the West Bank, the military’s conduct in the night raids on Qusrah alarmed and frightened the residents, and especially young children. The inhabitants’ sense of helplessness and inability to prevent soldiers from entering their homes comes across clearly in the accounts of that night given to B’Tselem field researcher Salma a-Deb’i. On Thursday, sometime after half an hour past midnight, I heard knocking at the door. My husband opened up and saw soldiers standing there. One of them ordered him to immediately wake up everyone in the family and assemble us all in one room. Three soldiers came in and started wandering around the house, tracking in the mud on their shoes. They spoke among themselves and my husband, who knows Hebrew, told me that they were saying to each other that there are only children in the house and no young men. They left after about forty minutes. When they left, we had to clean up the mud they had tracked into the house. My husband, my daughter and I cleaned all the carpets. It was cold, and the water was cold. It took us until about 4:30 A.M.
At around 10:30 at night, my son Isma’il (25) woke me up and told me there were a lot of military vehicles in the village. He didn’t know what was going on. While we were talking, I heard pounding on the front door of the building. I went quickly to open the door, so the soldiers wouldn’t break it down. When I got there, I saw about ten soldiers standing by the front entrance, after they’d broken down the gate to the yard. One of them asked me, in Arabic, who was home. I told him that only my family and I were there. He told me to wake everyone up and bring him everyone’s ID cards. I asked my wife to get them. The soldiers came into our living room. The soldier checked the ID cards and put them in his pocket. He demanded our mobile phones, and we handed them over to him. Then he ordered us all to go into the den. The soldiers sat down in the living room. As time went by, more and more soldiers arrived, until there were about twenty of them in our house. One soldier wandered around the rooms opening closets. The rest just sat there doing nothing. I noticed that one of them took off his shirt, which was wet from the rain, and put it next to the heater. I asked one of them what they wanted. He said they were on a mission. More time passed and nothing happened. It was very strange. The soldiers sat there and did nothing except stare at us or at their phones. I asked the soldier again: “How long will you be here?” He answered that they were on a mission and that when it was over, they would leave. I asked him about the mission and he said that I’d know when it was over. After about two hours, at around half past midnight, they all got up, put on their helmets and grabbed their bags. One of them gave us back our ID cards and phones, and then they all left. I still have no idea what they were doing in my house. I think they just came in to get warm, and the soldier dried his shirt with my heater. They woke us up and scared us for no reason. Selene, my 8-year-old daughter, took it especially badly. She was really terrified and kept asking us to be quiet because she thought that if anyone spoke, the soldiers would yell at us or hit us. She was trembling with fear. After they left, my sons Isma’il and Ibrahim followed what was going on in the village on social media. The whole family stayed up to follow what was going on and talk about it. I was the only one who went back to bed. When I got up for prayers at 4:30 A.M., my sons were still awake. They told me the soldiers were still in the village and that I’d better stay home and not go to the mosque. They were worried something might happen to me on the way. I prayed at home. In the morning, I learned that more than twenty village residents had been arrested. We live with my mother-in-law, Tamam Hassan (76), and my sister-in-law Siham (44), who is mentally and physically disabled. On Wednesday night, 6 December 2017, at around 10:30 P.M., my husband and I were asleep in our bedroom. Suddenly, I heard the sound of vehicles and people near the house. I realized it was soldiers. Suddenly, the window that connects our bedroom with my mother-in-law’s apartment opened and I saw a soldier looking right in on us. I couldn’t believe my eyes. I covered my head with the blanket because naturally, I wasn’t wearing my headscarf in bed. The soldier was holding a torch and I heard him say something in Hebrew. Later, my husband, who knows Hebrew, told me that the soldier had said, “They’re asleep”. Then the soldier closed the window. The room on the other side of the window is empty, because Tamam and Siham have moved into our apartment since it was hard for them to manage on their own. It turned out that the soldiers had raided their empty apartment. I never imagined something like this could happen. I was terrified that the soldier would shoot at us or fire a stun grenade or teargas at us. I was also very distressed that the soldier looked at me when I was in bed without a headscarf. Where have you heard of such a thing happening – someone breaking into your house just like that, into your bedroom, and staring at you while you lie in bed? It’s unbelievable, there’s no respect for our privacy inside our own home. According to the sounds they made, the soldiers stayed in my mother-in-law’s apartment for about an hour. A few minutes after the soldier opened the window, some soldiers knocked on our front door. My husband opened it. They asked him who lives here and he said that there are children, his old mother and his sister here. The soldiers came in, looked into the rooms and left without doing anything other than making us anxious and worried. We couldn’t get back to sleep, especially after we found out via social media and through family and friends that soldiers were going into many houses in the village and arresting residents. We stayed up following what was going on until 5:00 A.M., when the soldiers left the village. We learned that they had arrested a lot of people. I live in an apartment with my wife Khawlah (58), my son Taysir (20) and my daughter Sahar (17). My two older sons, ‘Awad (25) and ‘Abdallah (29), are married and live with their families in other apartments in our building. On Wednesday night, 6 December 2017, at around 11:30 P.M., I was woken by banging on the door. I jumped out of bed and put on a shirt and kafiyah. I opened the door and saw a lot of soldiers pointing their guns at me. They started to come into the house. I said: “Where are you going? What about our privacy? There are women in the house, wait a second!” They waited, and I asked all the family to get ready because soldiers were about to come in. At least ten soldiers came in. They wandered around the house, tracking mud in with their shoes, and ordered Taysir and me to show them our ID cards. They checked the cards against a tablet computer they had and left. One of them pointed at ‘Awad’s apartment and asked: “Whose apartment is that?” Before I had a chance to answer, one of the soldiers kicked at the door with his shoe, which was covered in mud. I said: “Wait a minute, why are you doing that? My son ‘Awad lives there, he got married last week. Maybe he’s asleep, give him a second to open up.” I was about phone him when he opened the door. The soldiers demanded to see his ID card, and checked it against their tablet. Then they quickly searched his apartment. After that, the soldiers moved on to ‘Abdallah’s apartment. He has two small children, and I went along so they’d be less frightened. ‘Abdallah opened the door. They demanded his ID card, checked it and quickly searched the house. Then they went to the neighbors’ house, about fifty meters away. They arrested someone there. After they left, we couldn’t get back to sleep. My wife and daughter were scared. Sahar usually gets up every morning at 4:00 A.M. to study. She told me she was afraid the soldiers would look in on us through the window, because we live on the ground floor and the windows are at eye level. Since that night, she’s stopped getting up in the morning to study. We feel exposed to violence everywhere. We don’t feel safe anywhere, not even inside our own homes. We live in a third-floor apartment. On Wednesday night, 6 December 2017, at around 11:30 P.M., I was on my way to bed when I heard loud banging on the front door. I looked out from the balcony and saw that soldiers had broken through the outer gate and were in our yard. I asked my husband and kids to come and bring their ID cards with them. The soldiers checked the cards and told us to sit in the living room. Then they tried to go into the rooms, but I said: “How can you go in there with mud all over your shoes? You’ll dirty the carpets, plus my daughter is asleep in there.” My daughter Amani (28) has Down syndrome and I didn’t want them bothering her. One of the soldiers signaled the others to stop. He said something to them in Hebrew and then signaled to me to go in ahead of him. I went into every room with him. He ordered me to open all the closets and even checked under the beds. When we got to Amani’s room, the soldier ordered me to lift the blanket off her face and I did. He nodded and went out. Then the soldier said he wanted to go out to the roof. My husband gave him the keys to the door leading to the roof. He went up there and came back fifteen minutes later. I don’t know what he did up there. After about an hour and a half, the soldiers left our house but not the neighborhood. We heard them all night long. They arrested two of people from our neighborhood. My husband, my children and I followed what was going on until morning. 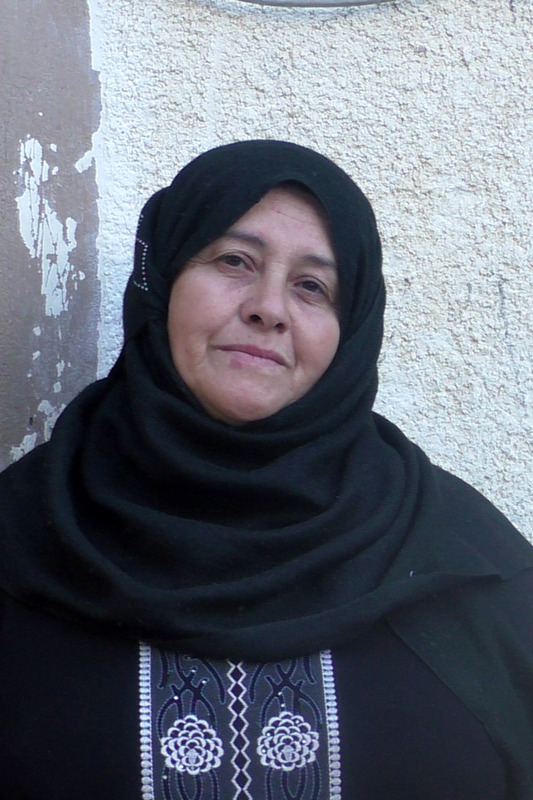 We were especially worried about my daughter-in-law Nihal, who lives on the eastern side of the village and was home alone with their four children because my son works the night shift at the settlement of Ma’ale Efrayim. Their eldest is 11 and the youngest, 3. She was very scared that the soldiers would come into her home so she asked me to come over and stay with them until morning. But the soldiers were in our neighborhood and I couldn’t get to her. We stayed in touch with her to calm her down and make sure everything was okay over there, because the military went into the eastern neighborhood, too. Thank God, they didn’t go into their house.